Chris has worked in the health industry in the private sector and the NHS for over 25 years. Prior to health, Chris worked for a PricewaterhouseCooper and a FTSE 100 PLC. He was Group Finance Director of a private healthcare organisation and then joined the NHS where he has been Finance Director at an acute Trust, Project Director on a PFI project, Chief Executive of both an acute hospital and a large PCT, Chair of a Community Healthcare social enterprise and CEO of a GP Federation. He successfully led two organisations through turnaround, made a successful application to become a first wave NHS Foundation Trust and led a £350m project to build a new 650-bed district general hospital, an inpatient mental health unit and a community health centre. He played a leading role in establishing a Ministry of Defence Hospital Unit in an NHS hospital. Chris and Tracy have helped establish 15 social enterprise spin-outs from the NHS and local authorities, and have supported a number of successful tenders for NHS and local authority contracts. Chris is currently leading Tower Hamlets GP Care Group, a GP federation. In the 18 months working with them he has helped increase their turnover form £300k to over £23 million. He is plays a leading role in the emerging accountable care system. 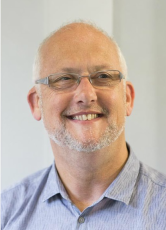 Chris's voluntary work includes Chair of Health Inclusion Matters CIC, Non-executive Directorships of Gateway Primary Care CIC and PHASE (Young People Support) CIC. He is a Fellow of the Institute of Chartered Accountants in England and Wales, and holds a MSc in Business Process Management and a Post Graduate Diploma in Project Leadership. Tracy has over 25 years NHS commissioning and operational management experience in primary, community and acute service settings, and is a past Executive Director of Clinical Services in Leeds and Chief Executive of East Coast Community Healthcare CIC following its spin out from the local PCT. Tracy has also been a policy advisor for the Department of Health Social Enterprise Unit where she led on NHS spin outs, development of pensions policy, and the Assurance & Approval Process for Right to Request. She was also policy lead for both the NHS Standard Contract for Community Services & Care Homes & Special Matter Expert for DH Procurement & Commercial Development Division as well as being a DH Assessor for Community Foundation Trust Pilots. Tracy reviewed DH tools for measuring social return on investment (SROI). As an independent consultant Tracy has supported the divestment of several NHS and Local Authority services and transformed them into independent social enterprises, all of which are now thriving organisations. She has also supported several commissioners and provider organisations on tenders, including service design, specification, workforce planning, and mobilisation. Tracy has recently been supporting Tower Hamlets GP Care Group as Chief Operating Officer and, having made a major contribution to the Group's successful bids for health visiting and community health services, is now leading their transformation. She is also the Alliance Manager of the Alliance Partnership Contract and plays a key system leadership role within the emerging accountable care system. 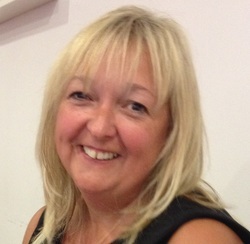 Tracy is non-executive Chair of Gateway Primary Care CIC.